Peaks and Pints’ Son of Fresh Hoptoberfest is not only a worthy successor to last year’s fresh hop-Oktoberfest mash-up, Hunt For Fresh Hoptoberfest, but even better as we are not forcing our guests to listen to tuba music from open to close, not screening a pictorial celebration of German culture, 1740-1914, 1950-present and not hosting a wet-dirndl contest. Nope, through Sept. 31, we’re offering bright, hop-hazy fresh-hop beers, just hours from field to kettle and mere days from the fermenter to your glass AND clean, hearty Oktoberfest-style lagers from Germany and nearby. We’ll wager our pretzel bread sticks you’ll drink both. Peaks and Pints hosts a Tacoma Film Festival Happy Hour Party before the Friday, Oct. 5 screening of Thunder Road at neighboring Blue Mouse Theatre. Hangout from 3-7 p.m. for a special movie beer flight and discounts for TFF pass holders. Writer-director-star Jim Cummings adapted his acclaimed short film Thunder Road (TFF 2016) into a poignantly humorous feature. Cummings plays a flawed police officer whose shambolic life is made worse by his mother’s passing. Unable to change for the better, his daughter is his only stability (Kendal Farr), who he tries to father in the best way he can. Lights! Cameras! Craft Beer! Breakside Brewery is hosting a “Fresh Hop One Stop” at its Northwest Portland Slabtown location starting today and lasting through the weekend. The brewery will offer all 10 of its fresh hops: Stay Fresh – Centennial, Stay Fresh – Simcoe, Fresh Guy – Triumph, Fresh Trap – Chinook, Wanderlust – Cascade, What Fresh Beast – Mosaic, Fresh Rainbows & Unicorns – Comet, Fresh Bazooka Face – Nugget, Fresh Hop Kellerpils – Sterling and Breakside IPA – Chinook. 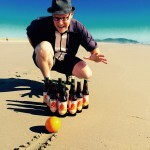 For one day, Oct. 6, Rainier Beer is moving back to its original home, shutting down and taking over Airport Way for the annual R Day party, where they will pour Rainier Beer alongside a special beer from Georgetown Brewing. 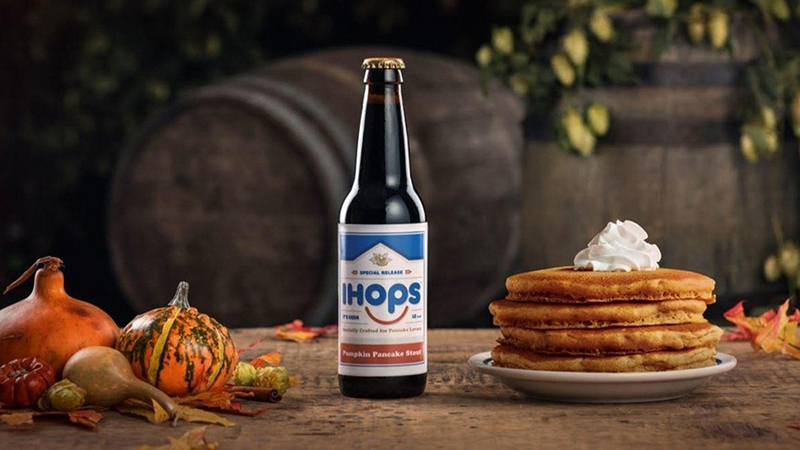 While there are plenty of pumpkin beers out this time of year, IHOPS Pumpkin Pancake Stout takes a decidedly breakfast-y approach. The beer was brewed by Kingston, New York-based Keegan Ales and “pairs the flavor of pumpkin and seasonal spices with IHOP’s World Famous Buttermilk pancakes into a rich, smooth stout,” according to a statement from IHOP. How exactly does it blend that pancake flavor into the mix? With pancake mix. How does Columbus, Ohio, stack up against other noted U.S. beer towns like San Diego, Portland, Seattle and Asheville? Regardless of where Columbus ranks with those other craft brew hot spots, what sets it apart is that this area is the place that the outrageous Scottish brand BrewDog chose as its U.S. home base and the location for its DogHouse hotel. And finally, ICYMI, here’s Will Smith celebrating his 50th birthday by bungee jumping out of a helicopter into the Grand Canyon. We reluctantly enjoyed this.